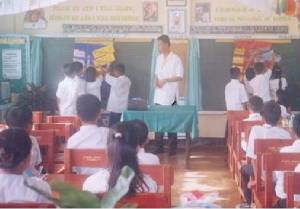 Monitoring and Evaluation component was the focus of the CFSS program this year. 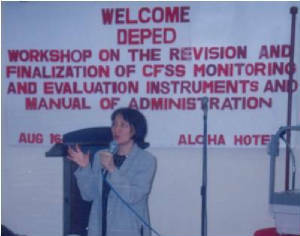 revision of the M & E Monitoring instruments was based on the comments/data gathered during the conduct of validation. An orientation training on the administration of M & E was held in two clusters: Cluster 1 for Luzon and Visayas group and cluster 2 for Mindanao group. Towards the end of the year, a spot checking/monitoring of survey administration was conducted in 21 divisions along with the orientation of Division Planning Officer and other staff on the CFSS M & E software installation and encoding process.